In a divorce, the family home is typically the largest asset that needs to be divided. For this reason it is extremely important to have an accurate value of the home. Appraisal: Performed by a certified appraiser, and includes a visual inspection of the property, as well as measurements of square footage and sometimes can include permit and zoning research. CMA: Performed by a Realtor, and may or may not include a visual inspection of the property. Typically does not include measurements, permits or zoning research. Automated Valuation (aka, “Zillow’s Zestimate”): Performed by an electronic algorithm, and does not account for the condition of the property, permits, or zoning. 1. Values are opinions: These figures are not gospel. Five different appraisals will procure five different figures, in all likelihood. 2. The more eccentric the property, the harder to pinpoint value: Every house is different, but when a house is unique to the neighborhood, this makes valuing it much more challenging. Likewise, if the entire neighborhood is diverse in architecture style, size, or age, valuation will require a much more thorough analysis than a cookie-cutter tract area. Appraisers, by and large, are trained to work for the lending / mortgage industry. There are very specific rules and guidelines established by Fannie Mae, Freddie Mac, FHA and VA that their appraisals must adhere to. Realtors, however, are not bound by lending regulations, and there are pros and cons to that. They have the same latitude that buyers do when deciding upon a value. There are invisible neighborhood boundaries that affect the desirability. For instance, being “in the village” vs “on the other side of Main Street.” School district boundaries make a difference, and established tracts that were designed by well-known architects or built by well-known builders have greater desirability. These are things only someone very familiar with that community would know. There is not a line-item on an appraisal for these things, but buyers do place value on these nuances. Realtor CMA’s often allow for these considerations. 4. Don’t settle for a sight-unseen valuation: Value is largely determined by the interior condition of the property. I have been in hundreds of homes throughout my career, and I can tell you that it is costly to judge a book by its cover. Many outwardly beautiful homes have significant plumbing issues or structural damage, as well as thrashed carpet, inoperable appliances, abandoned remodel projects, cracked pools, and dead landscaping. Some may be hoarder properties. On the other hand, some have been carefully maintained and have imported wood or marble, extensive home automation systems, and premium appliances and fixtures. All of these things affect a home’s value and it is impossible for an automated, computer-generated valuation to account for the differences. Because these differences can translate into tens of thousands of dollars in the value of a house, it is careless to work from an “automated” value. True value is dependent upon a third-party professional inspection of both the interior and exterior of the home. When you request a CMA from a Realtor, be sure to make it clear that you are not looking for a suggested list price, but for their opinion of the home’s actual value in the current market. 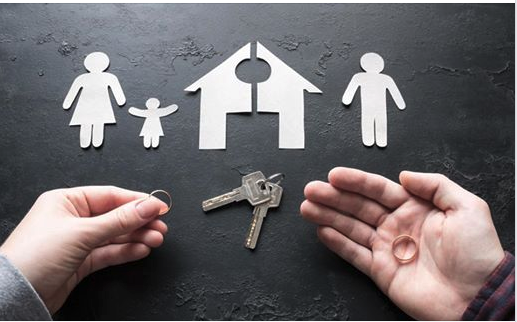 Since the house is likely the most valuable asset in the case, and the proceeds therefrom are often used to fund the divorce, pay joint debt, and start new lives, it is crucial to invest some time and money into getting as close to the accurate value as possible. If you need a CMA to determine the value of a home in your please reach out anytime to discuss which one would be appropriate for your case.